A fast-growing company with a startup mentality. We sell point of sale software to small businesses. Ultimately, our Software Support Technicians are problem solvers. • Provide technical assistance and training to customers using our POS systems and POS software. • Assist customers in improving their business procedures and in optimizing their internal workflow. • Develop an understanding of each customer’s unique business in order to tailor our POS software to meet their needs. • Configure hardware and software in a Windows-based environment for custom point of sale orders. • Troubleshoot operational and technical issues with customers’ POS systems and software. Assist with research, development and implementation of new point of sale software and hardware. • Create documentation and guides for software and hardware. • Develop training curricula for new software. • Identify and report major IT trends. • Must enjoy working with people and technology. • We look for self-learners that can operate in a team-based environment. • Must care about the job and take pride in your work. • POS experience is not mandatory, but definitely a plus. • Wants to work for a small business and grow with the company. • Likes the idea of Beer Friday – or at least likes the idea of hanging out during Beer Friday. • Comfort with Windows operating system. • Ability to dig into new software and easily pick it up. • Problem solver who can analyze a situation and quickly move towards resolution. • This is a great position to gain experience in the tech field. • We’re a fast-growing company with a startup mentality. • We obsess about being great. • Results go on the board. • We deliver service our customer can brag about. • Challenging and rewarding work environment. 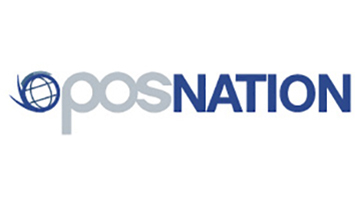 Send resume to jobs@posnation.com. Cover letters are not required, but they are appreciated. Please insert ‘POS Nation Tech – Charlotte Agenda’ into the subject line of your email. Serious candidates are welcome to apply in person. Hiring is on a first-come, first-serve basis, so please apply quickly.